Are you hoping to become a Kentucky state police officer? 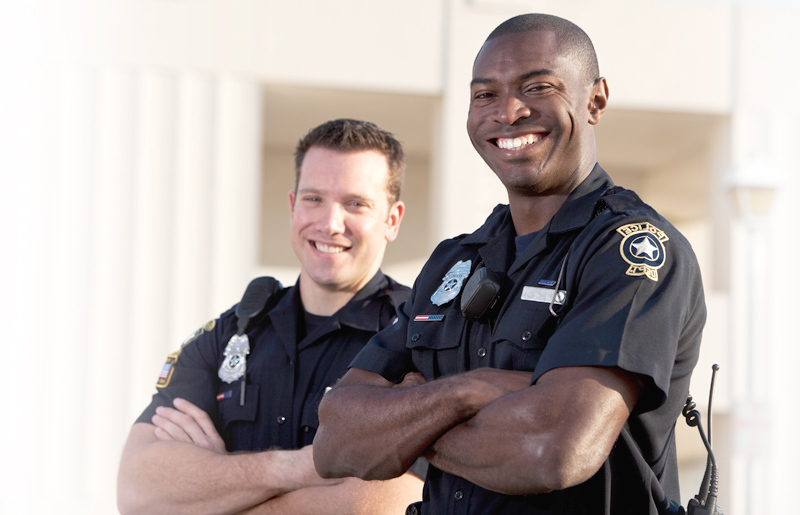 JobTestPrep can help you learn everything you need to know about the Kentucky police exams and offers the tools you need to maximise your chances for success throughout the competitive application process. With practice tests, explanations, solving tips and study guides, JobTestPrep is here to help you pass your exam and get your dream job. Start practicing for your Kentucky police exam and apply with confidence. Each police department requires their own exam. You will need to check with your department to see which exam they require. Different departments may use the same exam. Below is a list of Kentucky police departments and their exams. To join the Florence police department you must first pass the physical ability test. Only after you pass will you be invited to the written assessment that includes math, reading comprehension, grammar and report writing. Preparing for the exam will get you one step closer to become a Florence police officer. To join the Lexington police department you are required to take the NPOST exam by Stanard & Associates. The exam divided into three sections; Mathematics, Reading Comprehension and Grammar. The mathematics section has 20 questions with a 20-minute time limit. The reading comprehension section has 25 questions with a 25-minute time limit. The grammar section has 20 questions with a 15-minute time limit. No prior police work or knowledge of law enforcement is needed. The written test will count 35% towards your overall score. The passing score is 65%. Once the written test is complete, your exam will be immediately graded and you will be given your score. To become a police officer in Louisville you need to pass an oral and a written exam. The Oral Exam is administered by a live panel of police officers and various staff members from the Police Merit Board. The oral exam assesses how you would approach situations that could be encountered during a police officers line of work. The board will present you with 3 different examples of situations from police officers work and your task is to identify the most appropriate response to the situation. The Written Exam consists of questions that measure your reading comprehension, reasoning ability and written communication skills. To become a police officer in Paducah you must take a written exam. The exam includes four sections. The four sections are mathematics, reading comprehension, grammar and incident report writing. The exam will last approximately one to 1½ hours. You need a 70 or better on each section to pass the exam. To become a Kentucky State Trooper you will need to take the Kentucky State Police Entrance Examination. You will have two hours to complete the exam. In addition, you will be given a study guide to review as part of the exam. You will be given 20 minutes to review the material provided before the exam begins. There are a total of 100 questions on the exam. Spelling: These questions test for the ability to spell words that are often misspelled. Vocabulary: These questions test your knowledge of the most accurate definition of the word provided. Language Skills: These questions test your ability to use proper punctuation and sentence structure. Reasoning Ability: These questions test your knowledge of applying written rules and handling situations commonly experienced by state troopers. Spatial Reasoning: These questions test your ability to appropriately read a map diagram and respond to questions related to it. Math Reasoning: These questions test your knowledge of basic mathematics (adding, subtracting, and multiplying). Computing Speeds: These questions test your ability to accurately compute speeds. Measuring Drugs: These questions test your knowledge of basic mathematics based on drug values provided. Study Guide: These questions are related to information reviewed in the study guide prior to the start of the exam. These questions will test your ability to remember written and photographic information. Surpass the competition with the aid of our exclusive job recruitment preparation materials. We offer 24/7 access to a vast array of practice tests, study guides, and more to ensure your test success. Join us and begin practicing today!